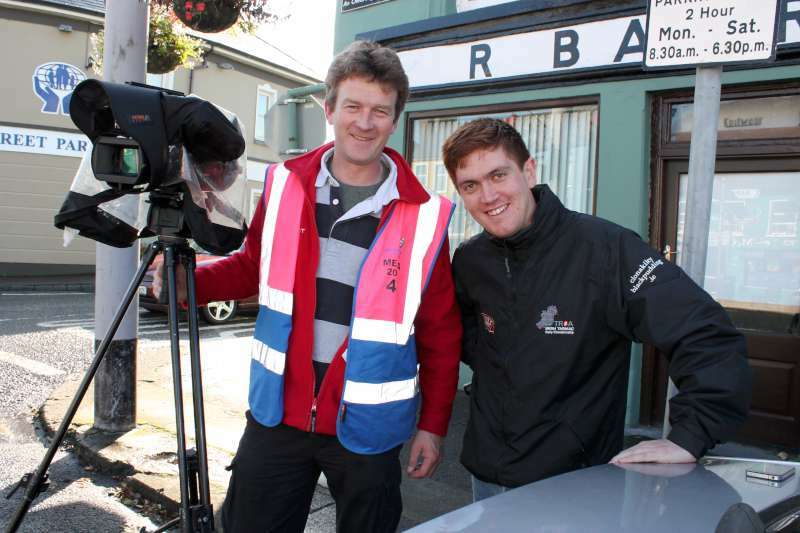 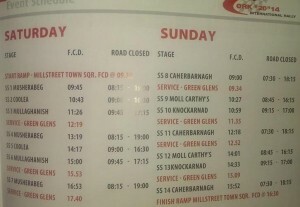 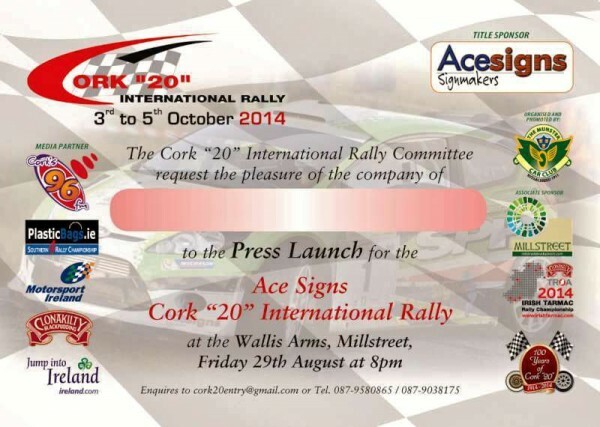 Cork 20 TV Coverage starting tonight. 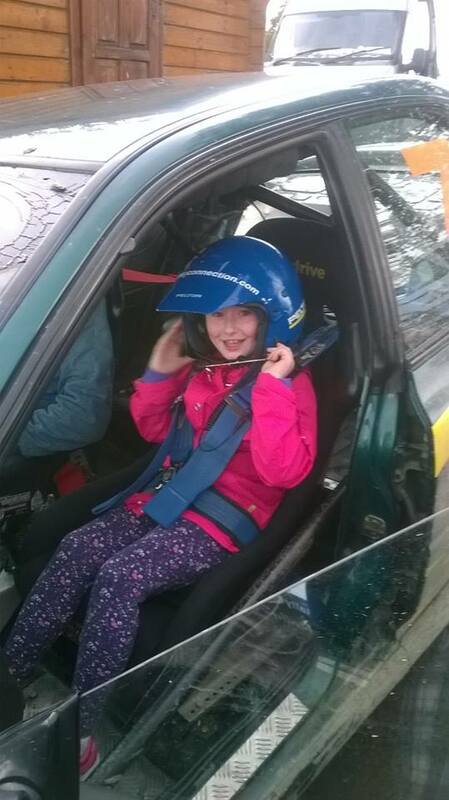 Veda Murphy from Millstreet was one very happy Passenger at The Navigator Experience Stage on the Cork 20 Rally over the weekend,Veda who is only 8 years of age enjoyed a number of high speed runs in a Proper Rally Car at the Purpose Built Track at The Green Glens, and as you can see from the Photo she thoroughly enjoyed herself, I think we could have a new co-driver in the making here, well done Veda. 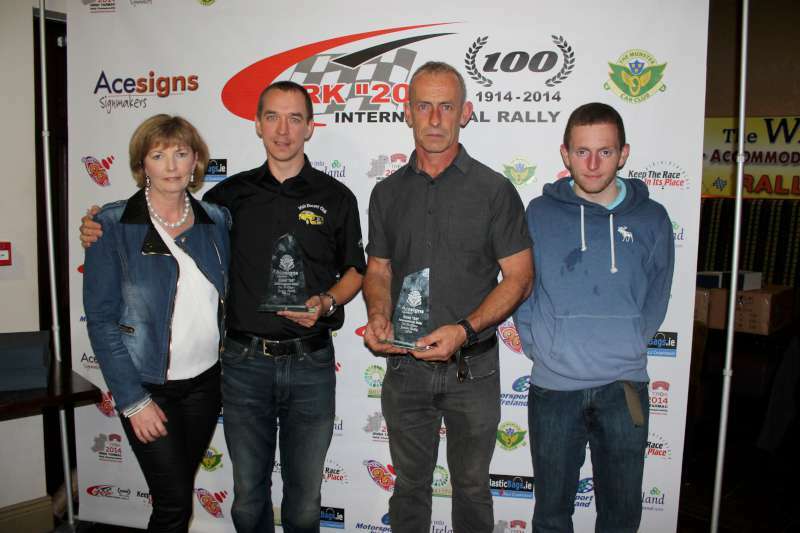 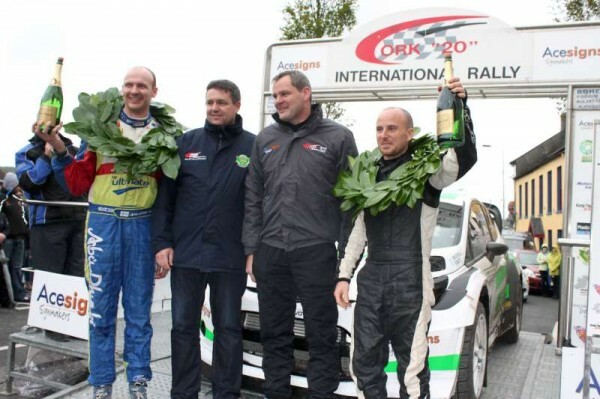 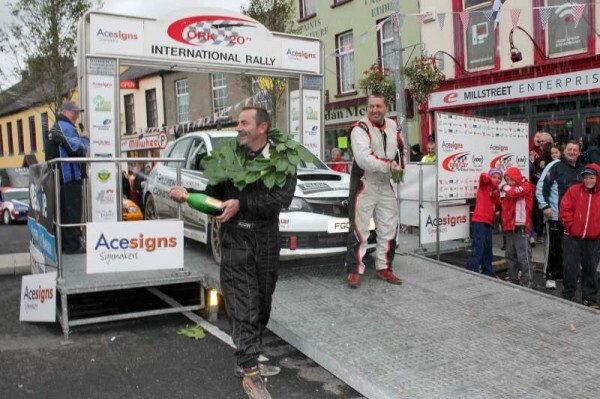 Daragh O’Riordan & Tony McDaid took a record breaking fourth consecutive win on the AceSigns Cork 20 International Rally based in Millstreet this weekend. The event which was the final round of the 2014 Clonakilty Blackpudding Irish Tarmac Rally Championship saw O’Riordan win by a margin of over a minute from a hard charging Keith Cronin / Marshall Clarke in second place who were debuting their Citroen DS3 R5 car. 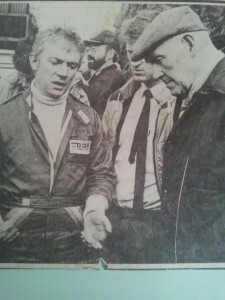 th . 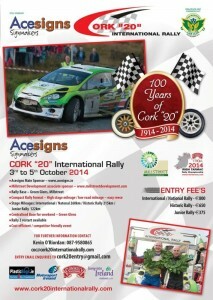 Please come down and enjoy the free show. 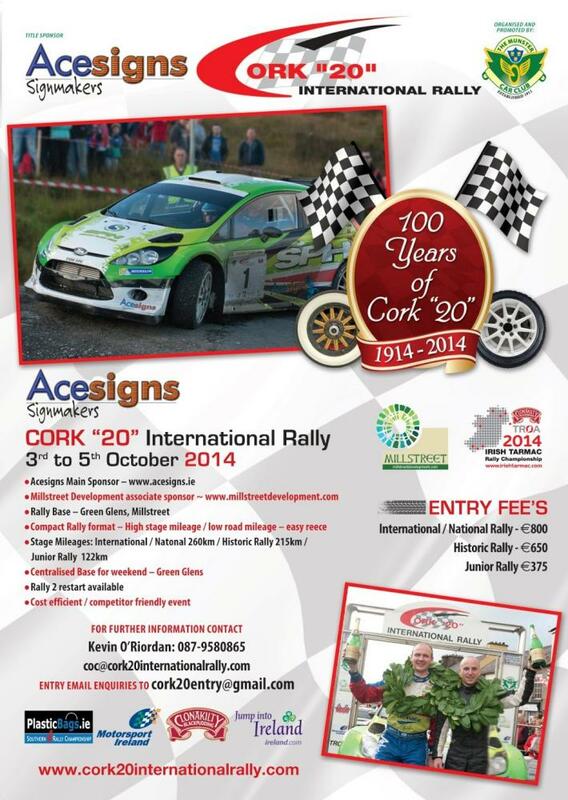 We look forward to a great event and to seeing you all. Acesigns Cork “20” International Rally. 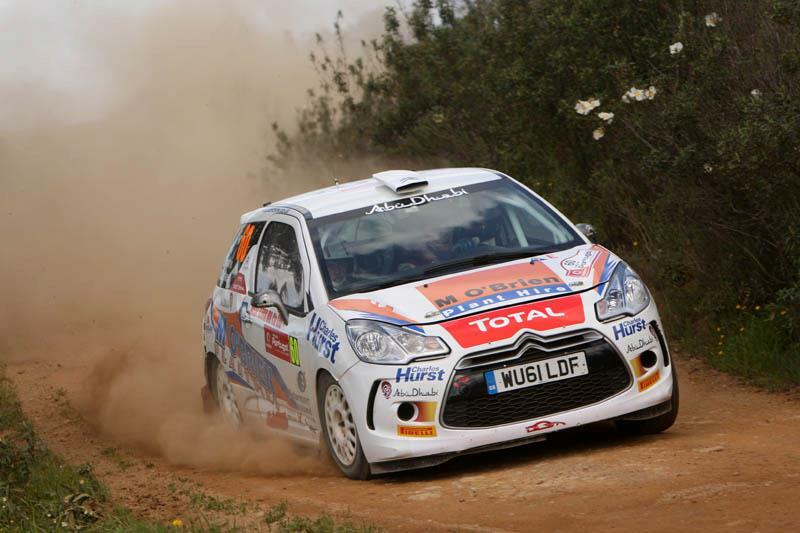 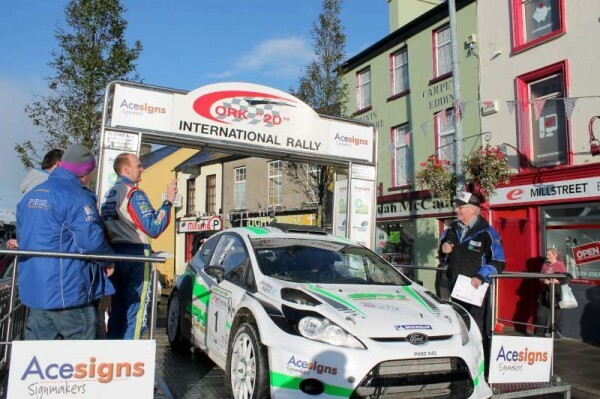 The Centenerary event of the Acesigns Cork 20 International Rally is delighted to be able to announce that Former Multiple British Rally Champion Keith Cronin is to contest this year’s event in the Irish debut of the new Citroen DS3 R5. 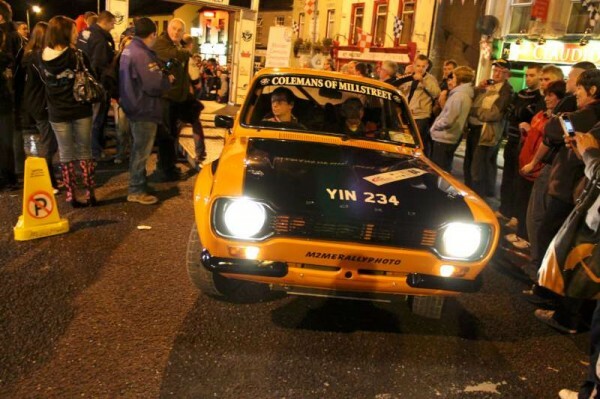 This is a great coup for the rally and the Clerk of the Course Kevin O’Riordan and the Munster Car Club are delighted that Keith has chosen our even to debut this new machine. There were a few Rally Cars around the Duhallow area gathered today in Dromtarriffe to remind us that The Cork 20 Rally is less than 3 weeks away now, entries are steadily coming in for what is shaping up to be a great Event, the cars pictured above along with a lot more in Sheds and Garages are currently being worked on and are mad for tar and eagerly waiting for the start of this Prestigious Event. 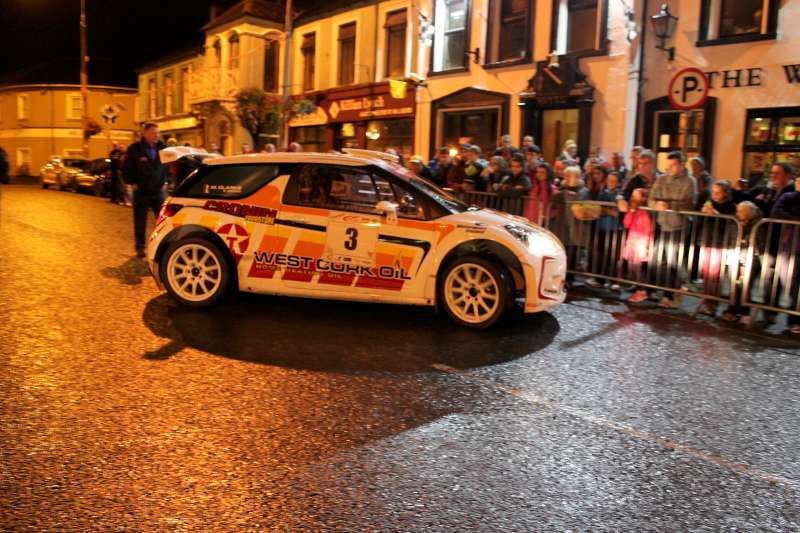 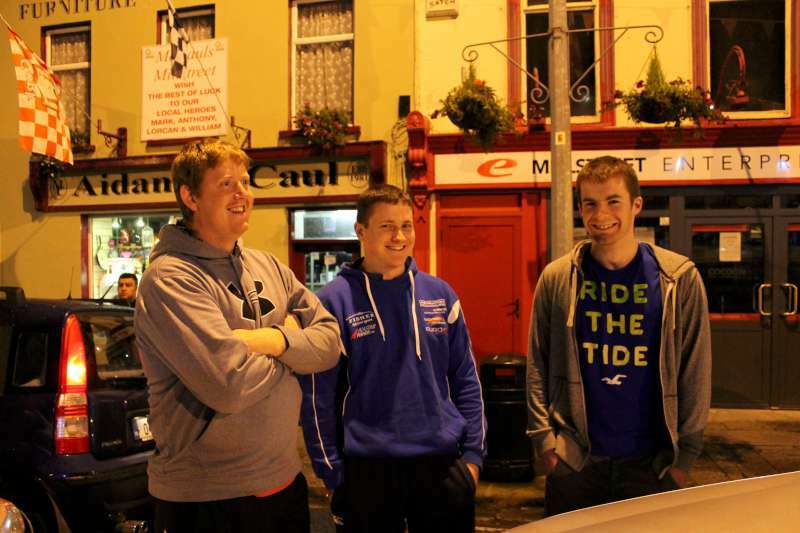 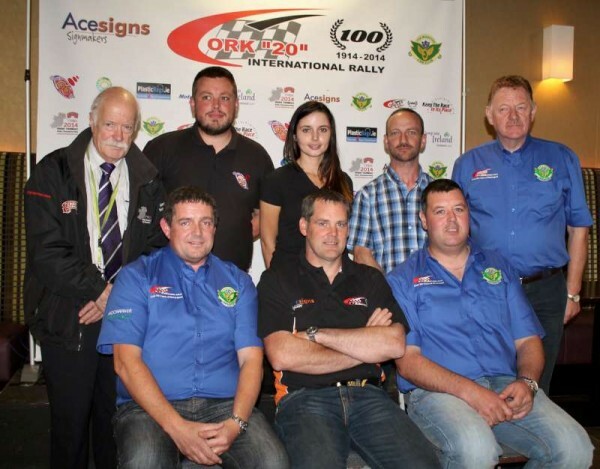 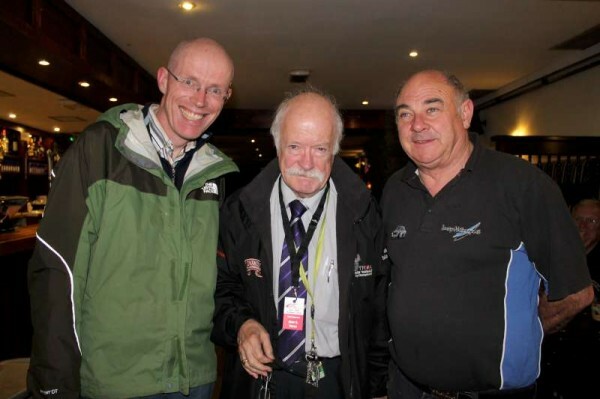 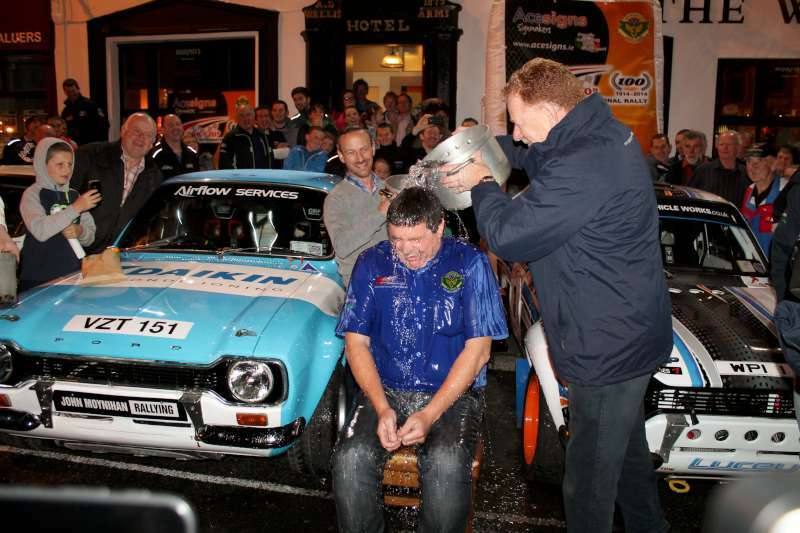 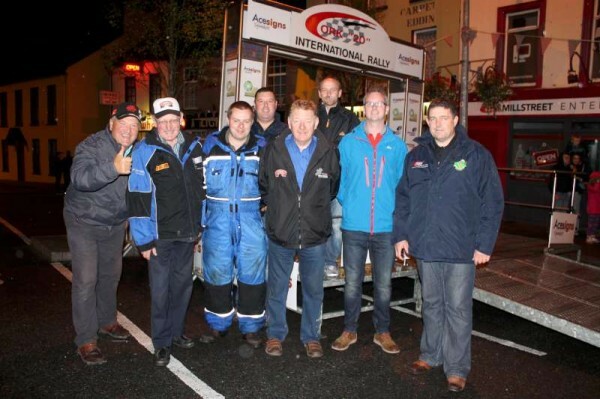 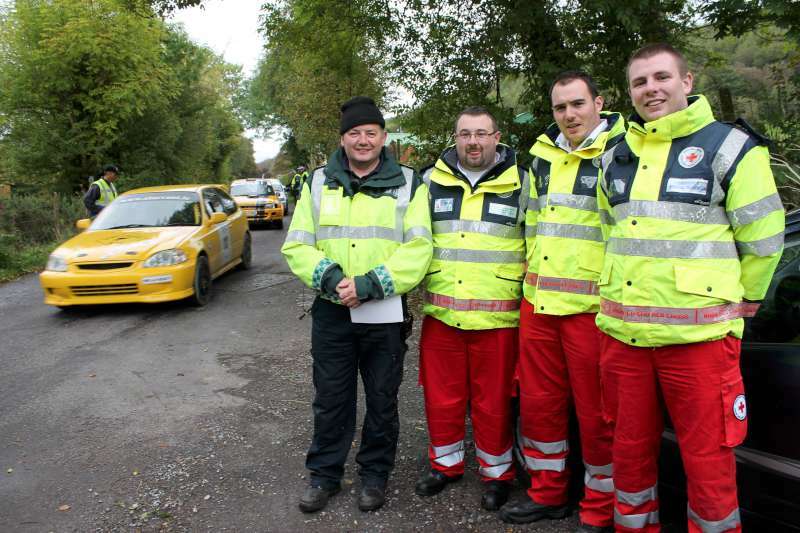 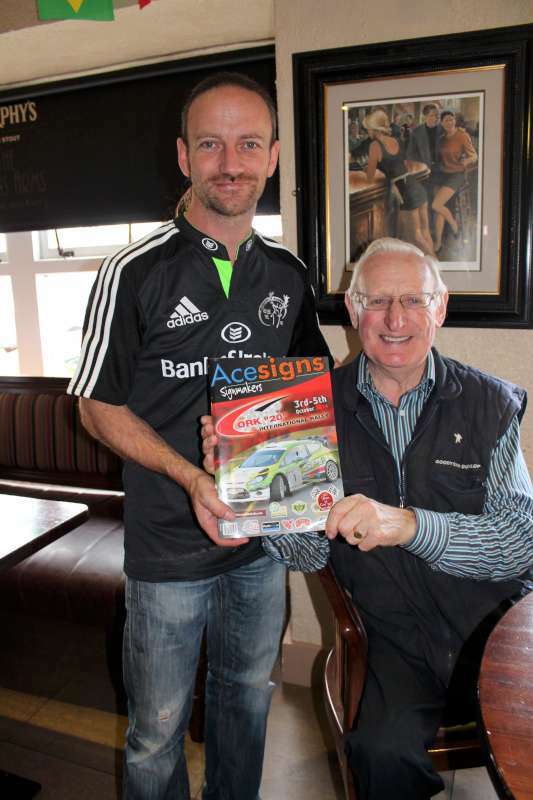 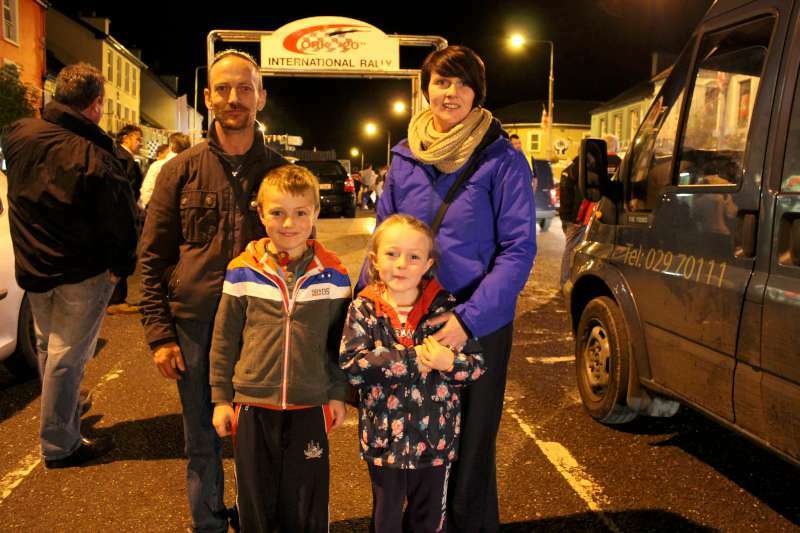 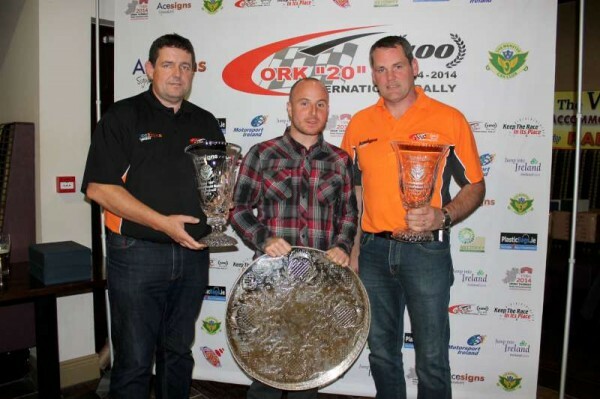 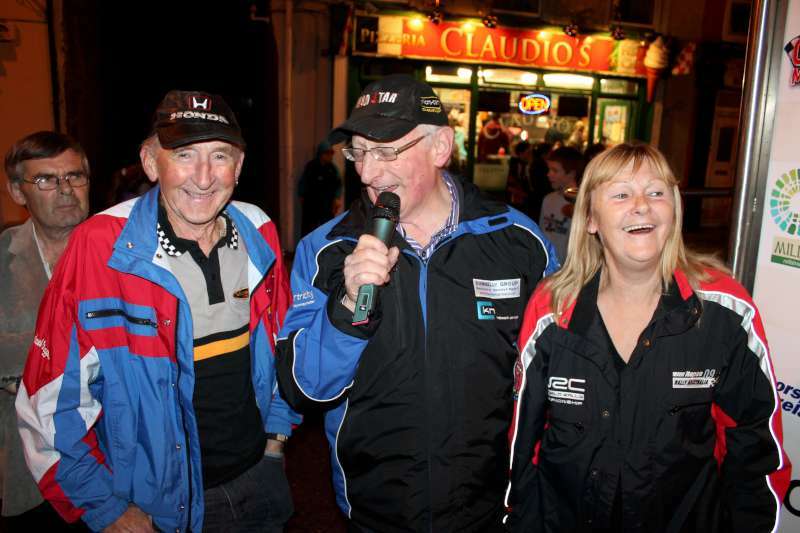 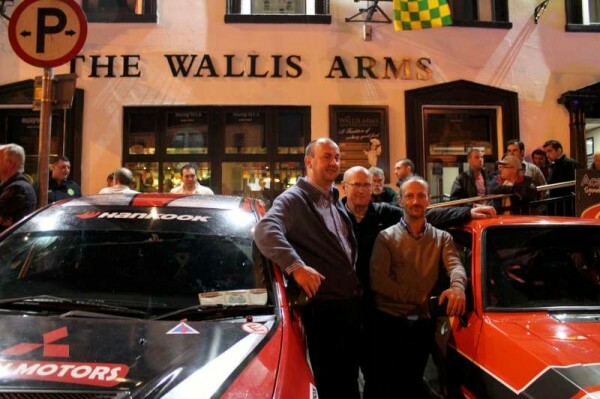 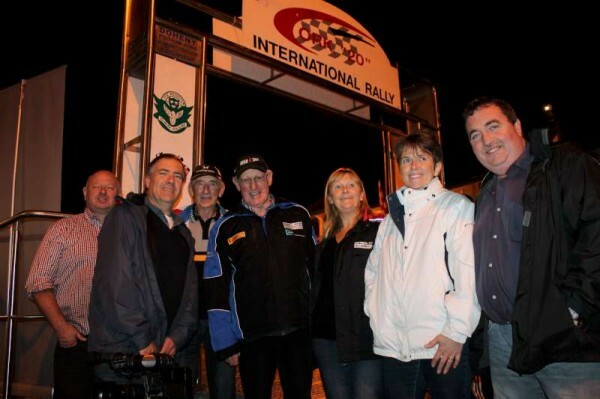 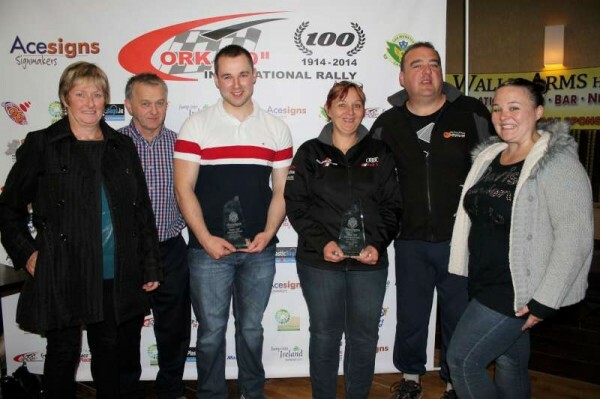 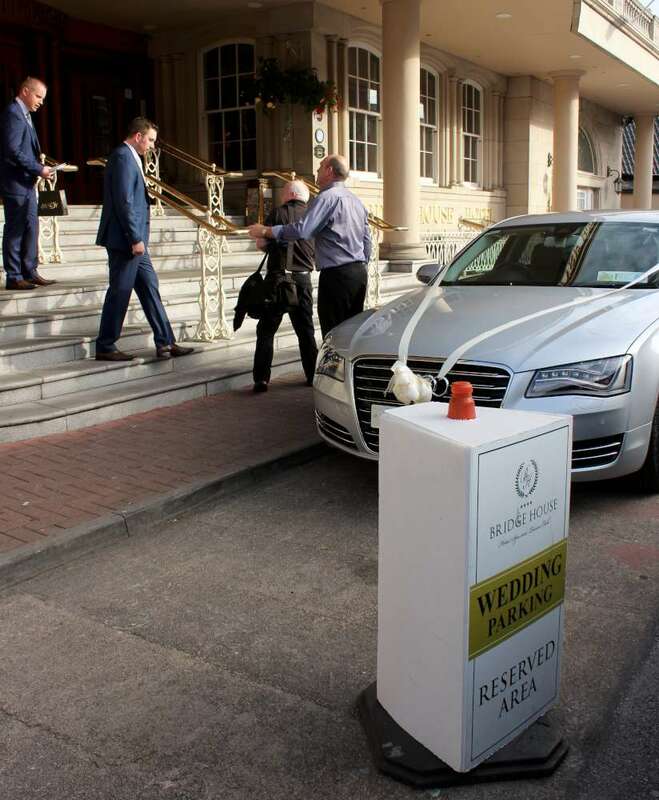 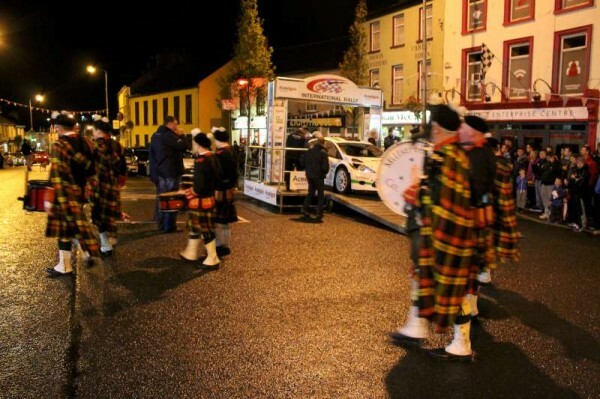 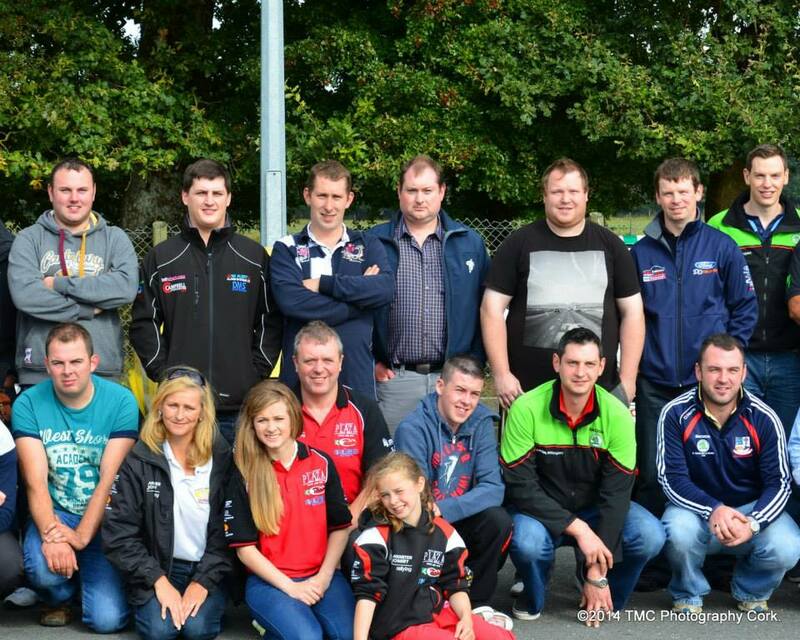 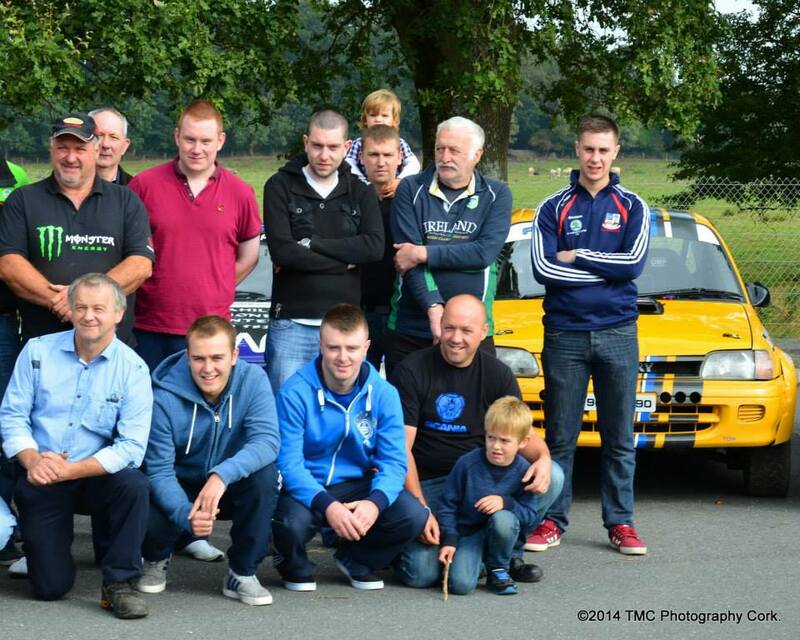 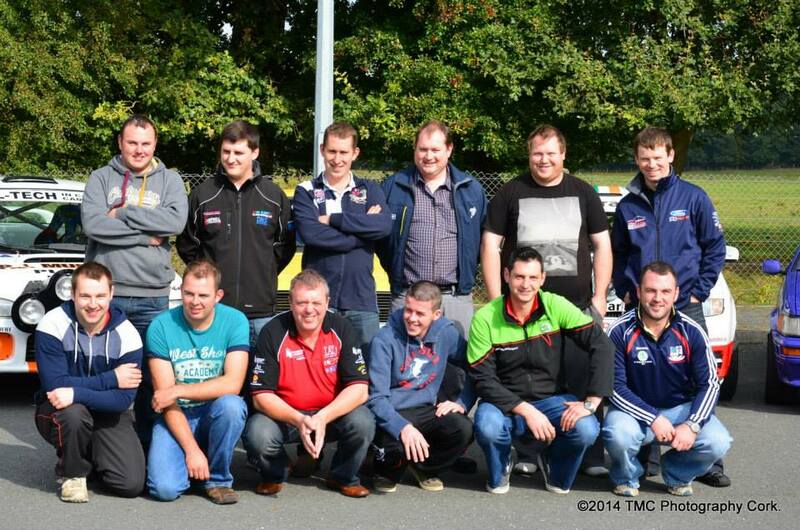 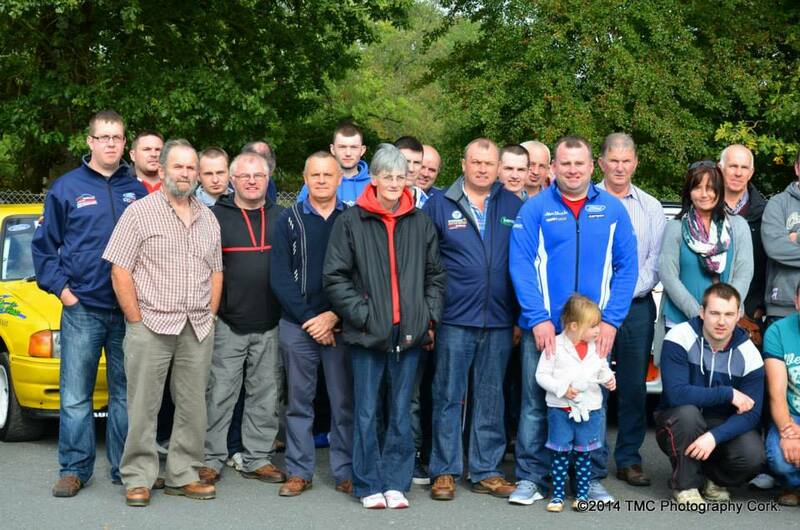 There was a big turnout last Friday on the 29th September in the Wallis Arms, Millstreet for the press launch of the 2014 Acesigns Cork 20 International Rally. The crowd were treated to a vast array of static rally cars on the main street for some photo opportunities with machines and drivers alike. 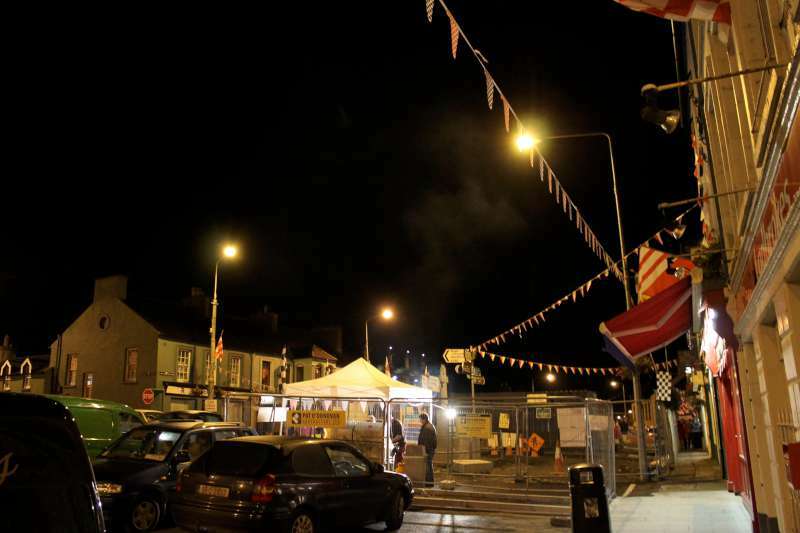 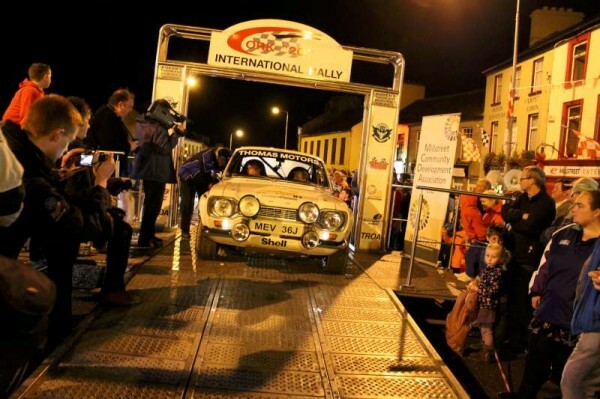 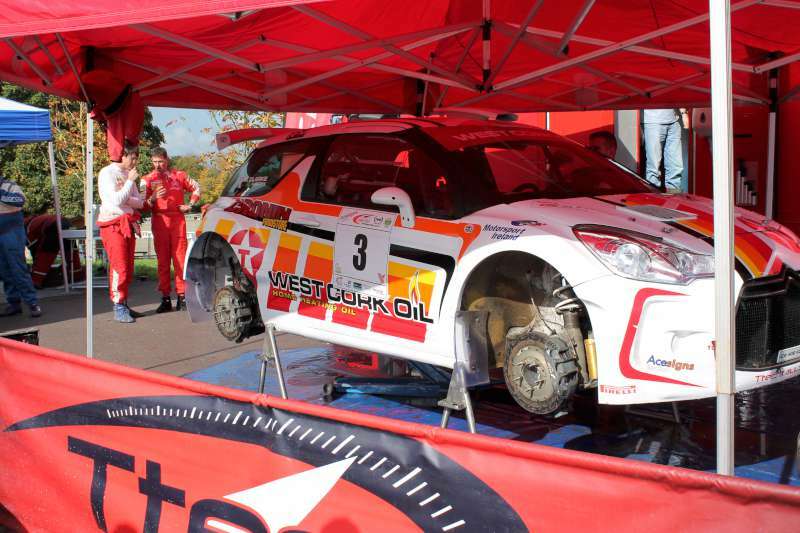 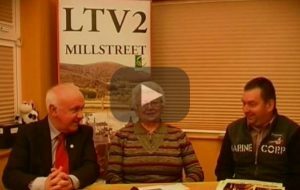 To get us in the mood for the 2014 Cork 20 Rally which will again be based in Millstreet this year we take a look back at footage from last years Highly Successful Event. 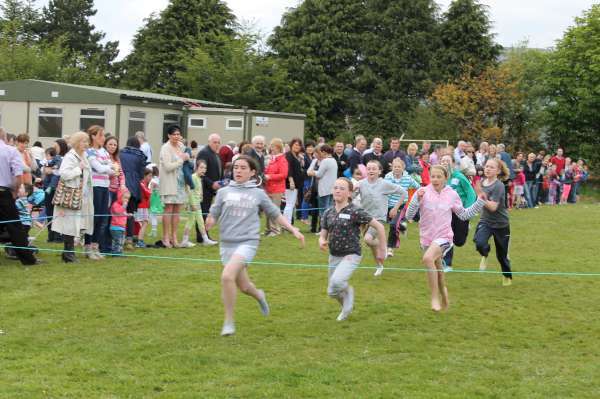 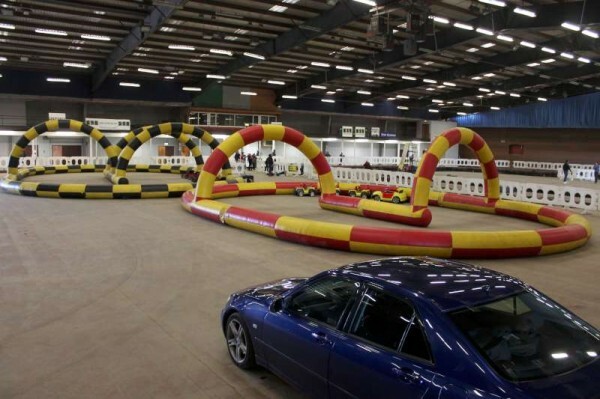 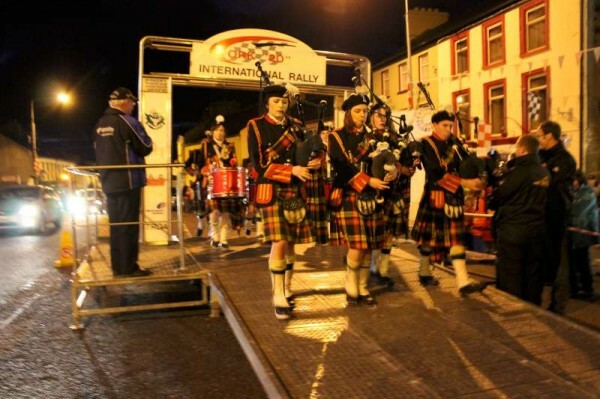 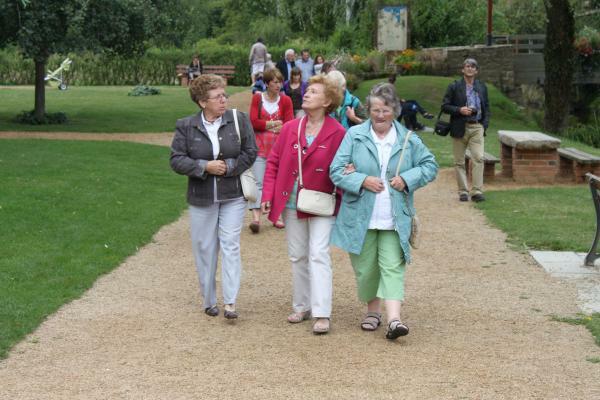 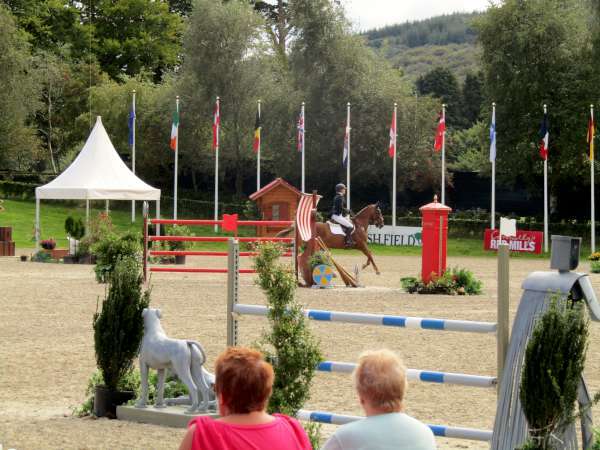 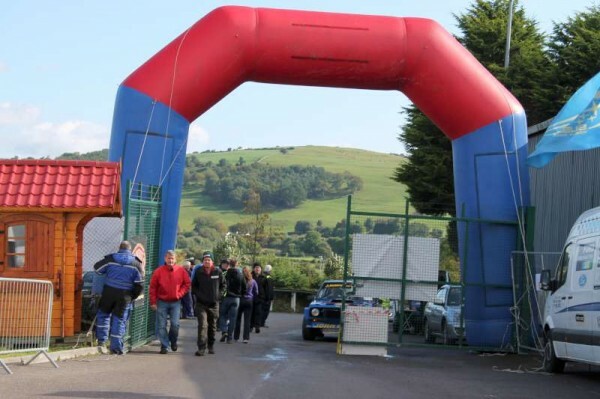 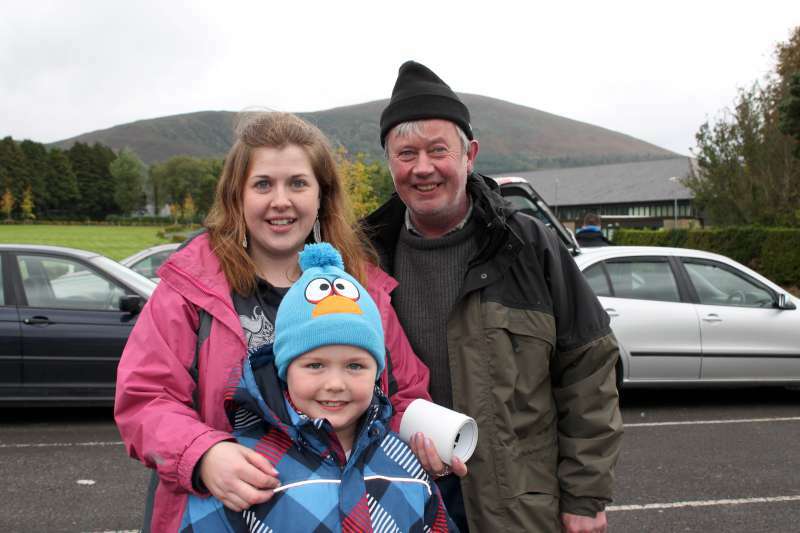 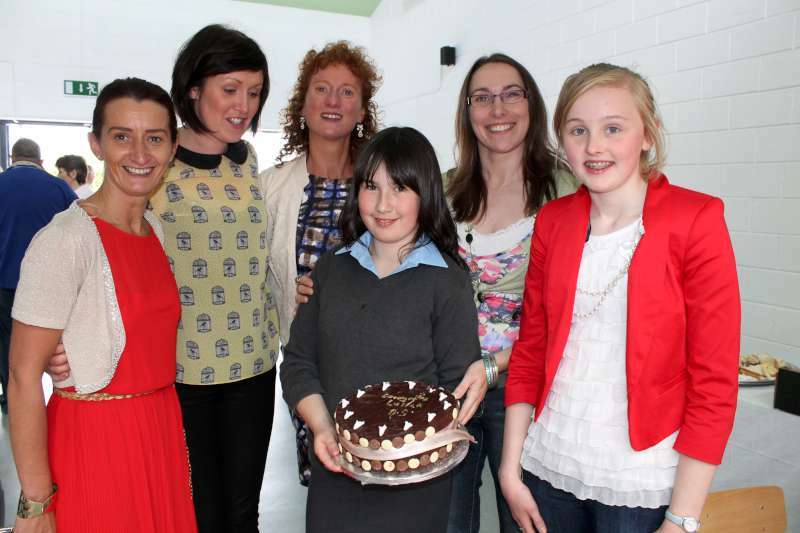 The 2014 Event will be held over the weekend of 3-5 October and again will be based out of The Green Glens Complex. With the news breaking last week that AceSigns Cork are to become the title sponsor of this year’s 100 year centenary Cork 20 International Rally, the Club under the leadership of Kevin O’Riordan (Clerk of the Course) are now busying themselves with the organising and running of the event. 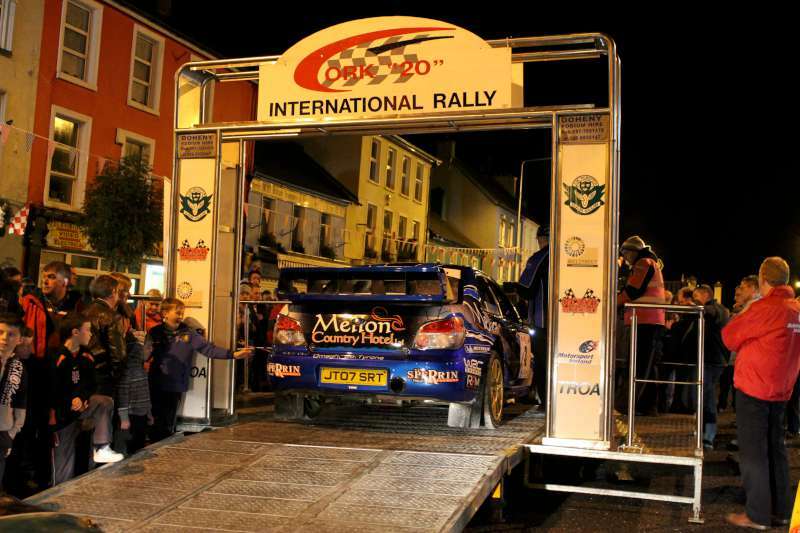 This time we look back at the 2007 Cork 20 Rally when we had 3 WRC Stars namely Sebastian Loeb, Mikko Hirvonen, and Dani Sordo competing as part of there preparation for there particapation in Rally Ireland later that year, as a result of these stars driving on the event the 2007 Rally will go down in history as a classic.